Want a simple to install angle post assembly? Our kits require no drilling or welding! It's simple and quick to install. And our new updated designs allows you greater versatility! If you are looking for an easy and quick to install end assembly kit, then our kits are perfect for you. You can have your whole angle post fence assembly installed in fifteen minutes! The Rotech Angle Post assemblies contain several unique features making them superior to all others. 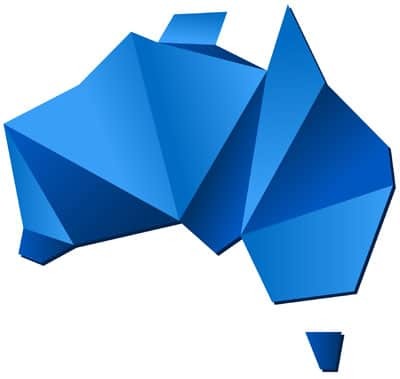 Firstly, our posts are all made here in Australia at Rotech’s own Production Facility from Australian steel and are hot dipped galvanised after fabrication. 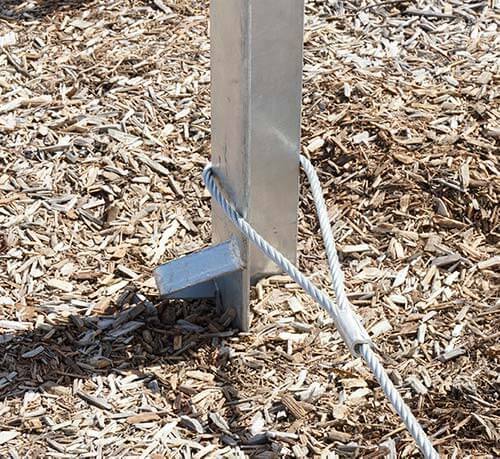 Our posts are also the only Angle post that utilises Rotech’s unique stainless steel tension cable system. This eliminates the necessity for holes at the base of the Angle post. Most other manufactures must put holes in their posts at ground level in order to fit tension rods. 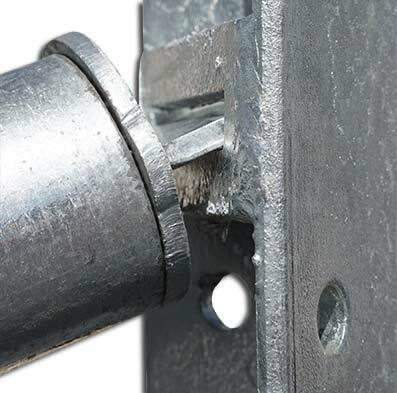 Due to the fact our posts have no holes, they are 20% stronger than other angle posts that have holes for tension rods. The other benefit of our cable system is that the tension cable can always be fitted flat on the ground, meaning there is no fixed height requirement for the post. This allows the installer to set the post at the ideal height for the circumstances, be it higher or lower than normal. Our unique tension cable connection at the base of the post also allows the cable to perfectly align with the stay angle through the whole 90° angle. Fences meet at many and varied angles, but with Rotech’s angle post assemblies, this will present no problem. We use 75mm x 6mm Angle section to manufacture our posts. A pointed end is formed at one end, making our posts easy to drive in. Posts can be driven in by hand, using Rotech’s angle post driver. Stays can be attached to either side of the Angle post, or centrally mounted. When Angle posts are being used for corner assemblies, we recommend using two stays for corners. 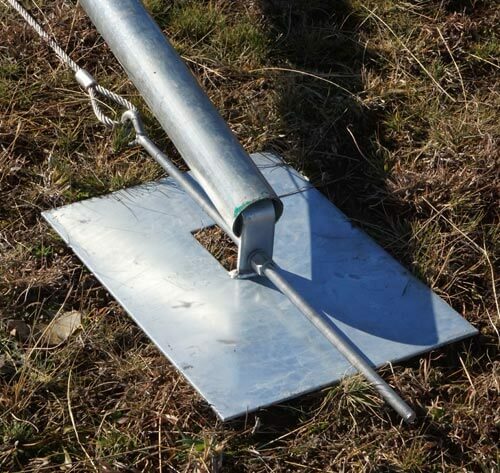 The extra stay greatly increases the strength of the assembly and keeps the corner of your paddock clear, allowing stock to graze right into the corner, while keeping the stays out of harm’s way against the wire. 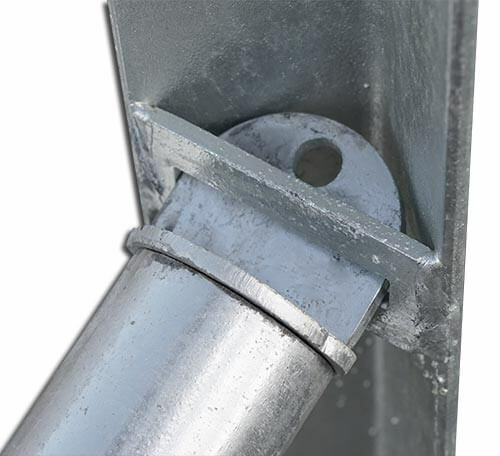 While two stays are the best option, the centre mounting plate on the Rotech Angle Posts allows the installer to use a single stay to support the post. The single stay still works fine in most situations and is a more economical option. You can also choose between a 50NB stay (Our recommendation ), or a 40NB stay (for less demanding applications). Having a choice of stay size means you can save money, as not every job requires heavy tension loads. While Angle Posts are the easiest of all our hand driveable strainer posts options, the Drive-Tight 100NB Round posts can be driven in almost as easily as the Angle posts but allows the user the flexibility of a round post. They are also safer for stock, with no catch points or edges. Make sure you check out our Round Post options before making your final decision. Need A Gate Kit for your End Assembly? Looking for an easy to install gate kit for your angle strainer posts? 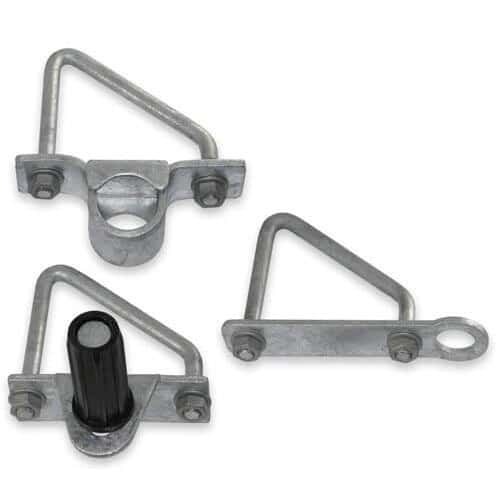 Check out our bolt-on adjustable angle post gate kits! 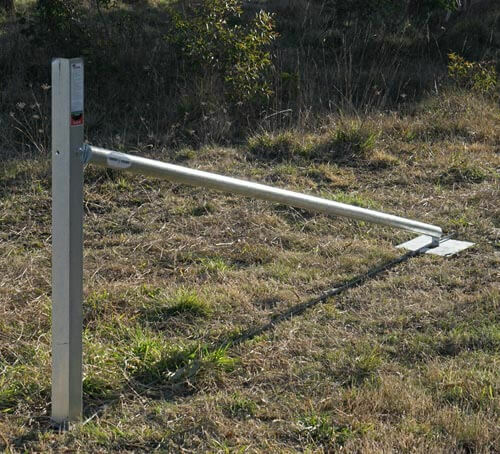 Whether your posts have wire or not, our adjustable angle post gate kits can be easily bolted-on with little trouble. This video walks you step-by-step through the installation process for our Drive-Tight Post End Assembly Kits. The angle post assembly kit is installed in the same fashion.